Yes, this is Day 2 of touring the THE FATAL TREE by Stephen R. Lawhead. And yes, this is posted on Day 3. All I can do is plead forgiveness for my tardiness, as an emergency at work took up nearly all my strength yesterday (I got only 4 hours of sleep last night). I will post tomorrow as well, even though the tour will be officially over, because I really want to get in three days of posting. Today I want to cover the Characters as well as the Writing. Let’s begin! Primarily I want to talk about the characters that really play a significant role in this novel. There is a big cast, but these are the main ones. An archaeologist from Arizona, she ends up traveling by accident to 1950s Damascus and she works with Kit and Wilhelmina in this novel to find a way to get to the Spirit Well to avert The End of Everything. Her insights help to figure out the dangers of the Fatal Tree. The grandson of Cosimo Livingstone, he works with Cass and Mina to figure out the Fatal Tree. His really issue ends up to be one of the heart, however, as he must find a way to forgive as well as trust Lord Burleigh. The fate of the universe may depend on it! Kit’s friend and companion, she has traveled from the present to 15th century Prague and opened up its first coffee shop with Engelbert. Mina is the most accomplished ley traveler in the group, and her wisdom and urgings play a key role in the novel … despite the fact that as the universe begins to collapse, she has a very tough go for awhile. He is the true arch-villain of the series, and a scoundrel among scoundrels. Yet he begins the novel in jail and raging against its injustice. His greatest challenge comes from witnessing Engelbert’s forgiveness and lovingkindness. This is especially hard because Engelbert is the man who Burleigh tried to murder. The round and lovable baker who owns the coffeeshop with Mina. Could this man’s Christ-like love save the universe? the daughter of Sir Henry Fayth, she and her faithful servant, Giles, are swept to another time and must figure out how to survive. The “man who is map”, his selfish actions have set in motion the end of the universe, and he must be stopped at The Spirit Well or all will be lost. I always like to post a specific example from Stephen’s writing, but I’m going to avoid that this time … honestly, I’m not sure I can do it without giving the plot away! Note that book 5 will include a signed bookplate by Stephen Lawhead! Leave a meaningful comment on each of my 3 posts ofthe tour! Today’s puzzle is as follows … decode the following QR Code to find a secret phrase … then finish the phrase using your imagination. Once you have the secret phrase and have answered it, email it to me through this contact form. Also, let me know which book you are interested in and I’ll hold two drawings at the end for all those that solve the puzzles. Also, REMEMBER TO COMMENT BELOW, as that is part of the eligibility rules. This entry was posted in Christian SF & Fantasy Blog Tour, Publishers, Stephen Lawhead. Bookmark the permalink. ← Review of The Fatal Tree by Stephen Lawhead – Day 1 – PLUS A DOUBLE GIVEAWAY! Thank you for sponsoring this contest. I’m hoping to win The Fatal Tree! Intriguing rundown of the characters! And I LOVE those names!!! They have such… well… character! 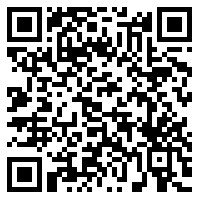 There are online QR Code “decoders” … all you have to do is provide a link to the image. You’ll have to search for an online QRCode decoder, though!